Group revenue rose 7 per cent on-year to a record S$691 million. The group has proposed a final dividend of 2 cents per share, bringing it to a total of 6 cents per share for 2014.
on 24 November 2014 I posted Osim Vs OTO Which is better? 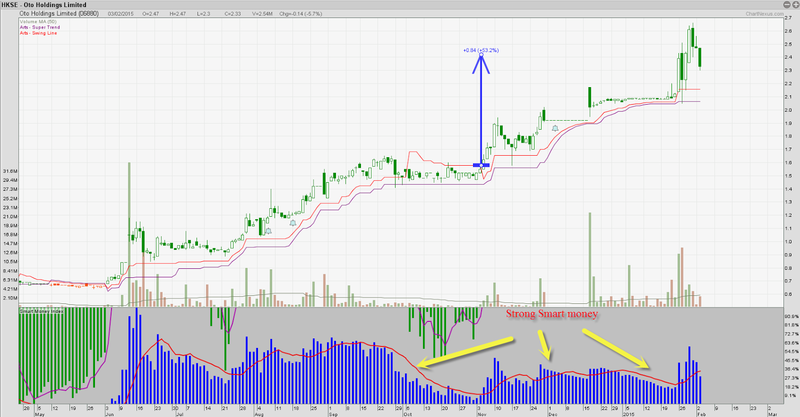 in the post, we show that Osim's chart is on a downtrend where as OTO who listed in Hongkong was on an UP trend. During then Oto price was at HKD$1.60, and now it is up almost 50%(include dividends) to HKD$2.35. Oto is still on an uptrend with support level at $2.05, the uptrend remains unless this support is broken in near terms.